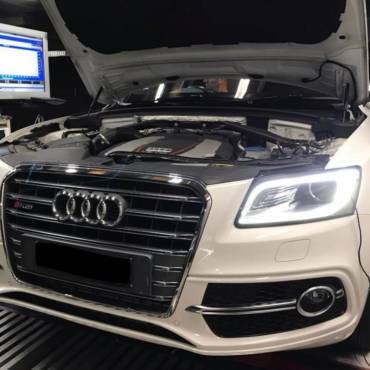 This Audi S3 8V was delivered to us equipped with stage 3 hardware and software from another vendor. 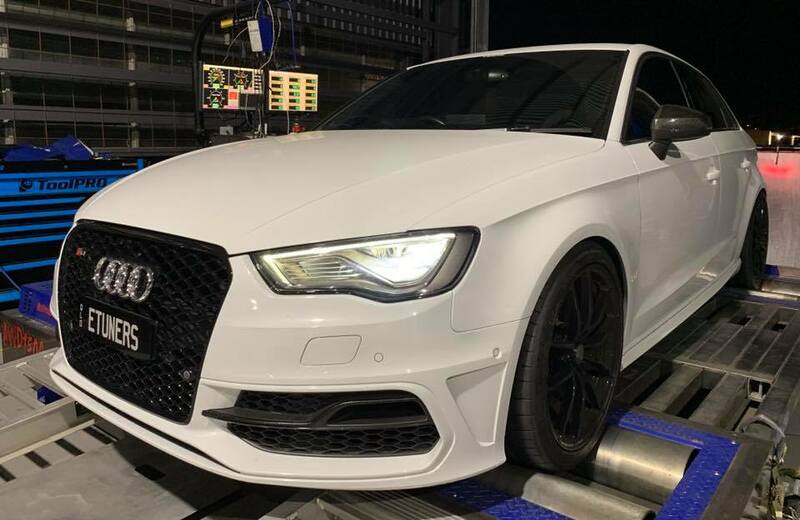 A pre-tune run produced an impressive 277kw @ 4 wheels. 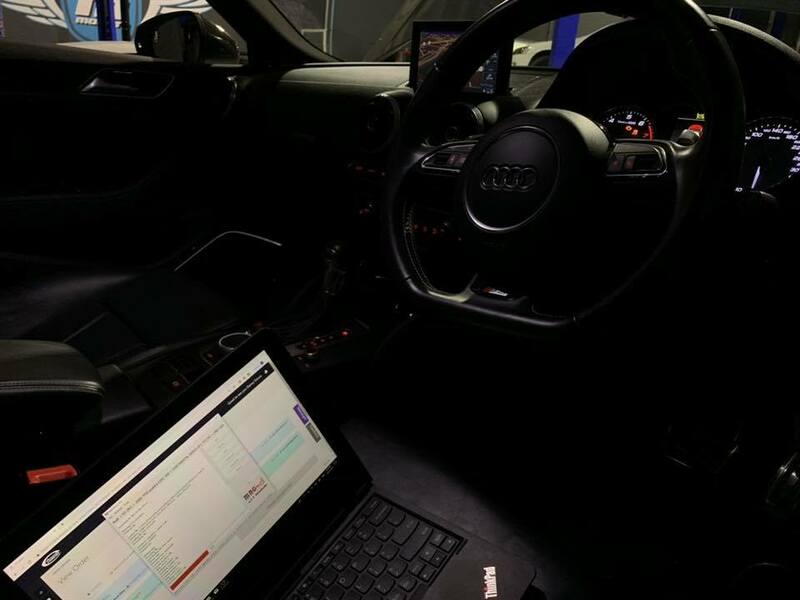 An Etuners custom stage 3 ECU file was calibrated alongside a water-methanol injection (wmi) kit. 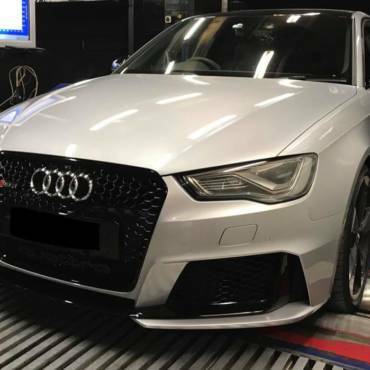 The advantage of a custom tune is clearly evident when adding new hardware. 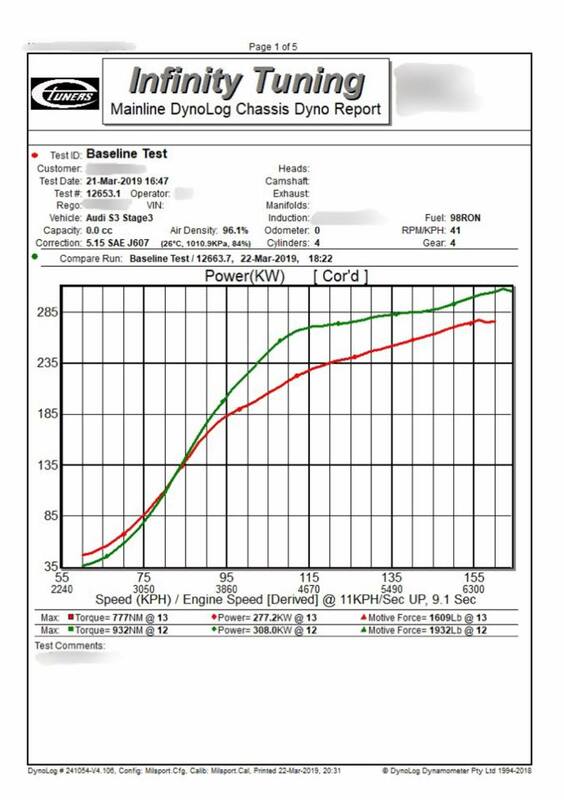 Whilst running less boost, peak power is now at 308kw @ all wheels and mid range saw a 46kw gain.